Charlotte Web - Didi T.
David Choppin' Squeal - Todd Da! D. Jay - Dee J.
Karate Kit - Ralph "Macho"
Kirk Cardigan - Popped Cole R.
Patrick Sprayze - Dirty Dana C.
Shish K. Bob - Barbie Q. 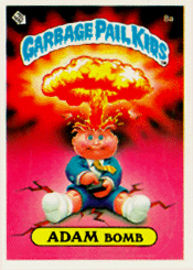 Garbage Pail Kids is a series of sticker trading cards produced by the Topps Company, originally released in 1985 and designed to parody the Cabbage Patch Kids dolls which were popular at the time. 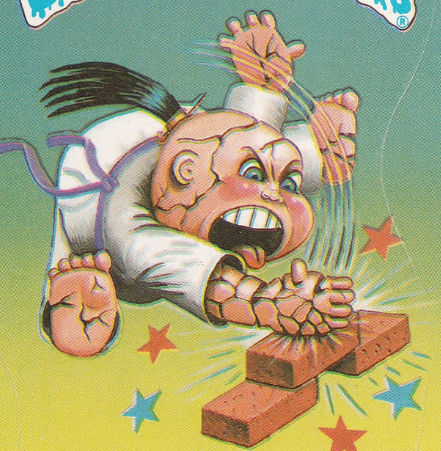 Each sticker card features a Garbage Pail Kid character having some comical abnormality, deformity, and/or suffering a terrible fate with a humorous, word play character name such as Adam Bomb or Blasted Billy. 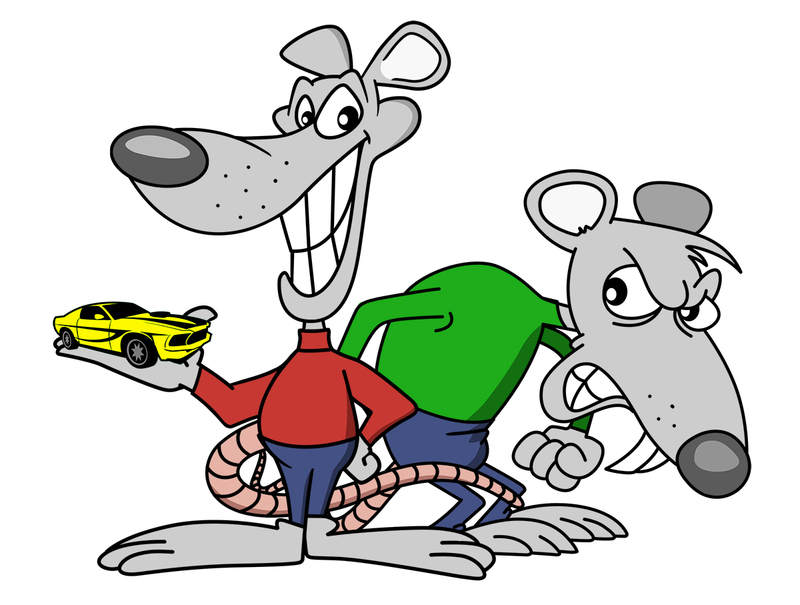 Two versions of each card were produced, with variations featuring the same artwork but a different character name denoted by an "a" or "b" letter after the card number. The sticker fronts are die-cut so just the kid with its nameplate and the GPK logo can be peeled from the backing. Many of the card backs feature puzzle pieces that form giant murals while other flip-side subjects vary greatly among the series, from humorous licenses and awards to comic strips and, in more recent releases, "Facebook" profiles.